Over time, more and more the skin laxity increase. These signs of aging can be treated effectively without surgery. The so-called radiofrequency techniques (also known as Thermage) will help to re-tension the skin on the face as well as the rest of the body. Radiofrequency acts directly on collagen, the results are durable and stable over the long term. They remain gradually decreasing over a period of 4 to 6 months on average. Radio frequency is painless. The treatment will leave only some redness on the skin. No precaution and preparation of the skin will be necessary to use this technique. We can therefore use radio frequency on any kind of skin. Thermal cycling techniques have been recognized and used worldwide for years by thousands of doctors. Radiofrequency treatments can be used in a global skin rejuvenation treatment. It is therefore possible to combine these sessions of thermage with sessions of fillers. In some areas, our body age faster with unsightly signs. The eye contour for example, whose skin is thin and fragile, but also the face more generally, which is always moving and exposed to environmental attacks. Pregnancies, diets can also accentuate the signs of aging. Radiofrequency is an effective response for body remodeling. This method is really innovative, helps to stimulate the skin for a renewal. Radiofrequency (RF) treatments use an electrical appliance that acts by applying high waves to the skin without burning it. The frequencies are between 10 KHz and 300 GHz, which will penetrate the skin tissues. The heat generated by these waves stimulates the biological reaction of the cells. In response to the heat delivered, collagen will be produced in a process called neocollagenesis. By multiplying the collagen present in the body, the fibers are already contracted and the skin is put back in tension. This technique stretch and soften the skin to appear younger. Radiofrequency thus presents an alternative and "soft" technique in comparison with conventional surgical procedures. 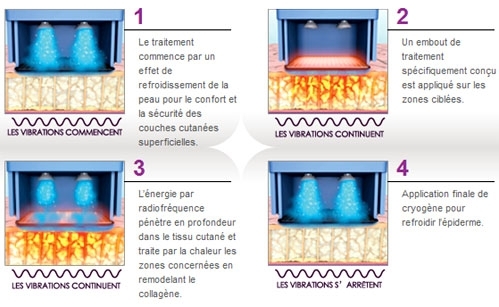 Thermage Radio Frequency easily treats skin laxiy with a slight excess of cellulite. This technique contributes to the reduction of certain signs (including fine lines and stretch marks) left by the time on the skin. 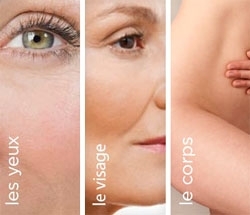 The remodeling technique of thermage can be applied in several parts of the body, in particular the neck, the eyelids, the décolleté, the thighs, the buttocks, the belly or the arms. It also allows to act on the rejuvenation of the face. Over time, the oval of the face loses its regularity. Radiofrequency helps to revitalize the skin and redesign a more balanced and harmonious oval in a total naturally way. The efficiency of the heat treatment is visible very quickly and improves during the first 6 months. 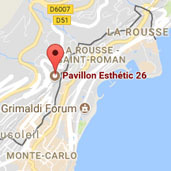 For more precise results, you can add to this treatment, injections of Botox or hyaluronic acid. The waves interact only with the body's collagen. These waves are not in contradiction with any other element of your skin, your body or an external treatment.